There is no shortcut to success. Well.. there is when it comes to Excel. 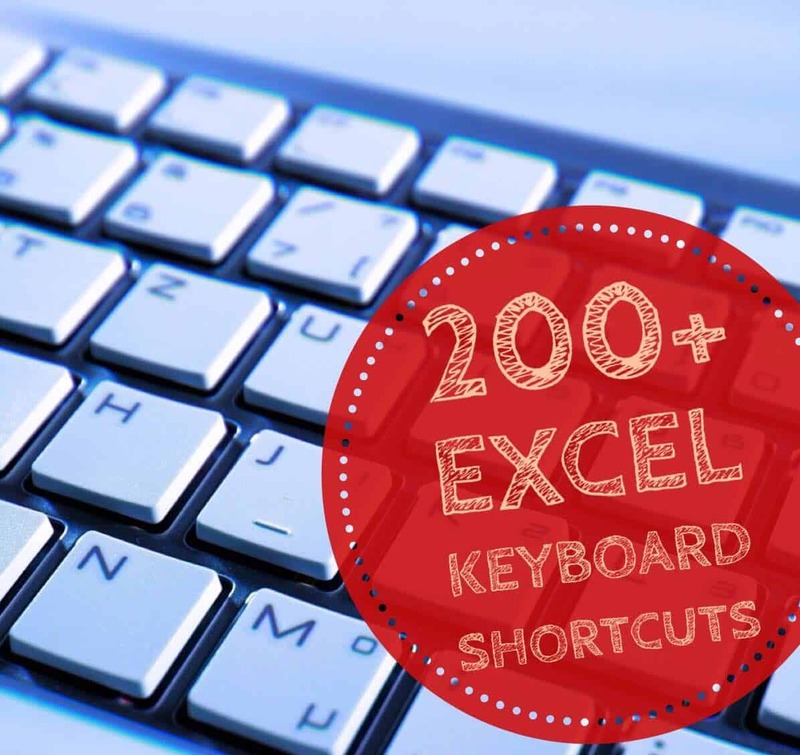 Here is a list of 200+ Excel Keyboard Shortcuts that will save you tons of time. Click on the categories below, or scroll down to see all the Excel Keyboard Shortcuts. Displays the Open Dialogue box to Open/Find a file. Saves the Workbook with its current file name, location, and file type. Opens the Save As dialogue box. Opens the Print Preview Window. Maximize or Restore Selected Workbook Window. Switch to the Next Workbook. Switch to the Previous Workbook. Select One Character on the Right of the Cursor. Select One Character on the Left of the Cursor. Jump one Word on the Right of the Cursor. Jump one Word on the Left of the Cursor. Select one Word on the Right of the Cursor. Select one Word on the Left of the Cursor. Delete One Character on the Left of the Cursor. Delete Character on the Right of the Cursor. Delete to the End of the line (from the cursor). Move One Cell to the Right. Move One Cell to the Left. Move One Screen to the Right. Move One Screen to the Left. Move to the Right Edge of the Data Region. Move to the Left Edge of Data Region. Move to the Bottom edge of the data region. Move to the Top Edge of Data Region. Move to the Bottom-right used Cell in the Worksheet. Go to the First Cell in the Current Region. Move to the Beginning of the Row. Move to the Previous Worksheet. Activate Filter (when the cell with filter is selected). Display Go To Dialogue Box. Paste Content from the Clipboard. Copy Formula from the Cell Above. Copy Value from the Cell Above. Display Paste Special Dialogue Box. Enter and Remain on the Same Cell. Enter Same Data in All Selected Cells. Select the Current Region / Select All. Select Visible Cells in the Current Region. Select the Current Region Around the Active Cell. Extend Selection to the Right by One Cell. Extend Selection to the Left by One Cell. Extend Selection Upwards by One Cell. Extend Selection Downwards by One Cell. Extend the Selection to the Right till the Last Cell. Extend the Selection to the Left till the Last Cell. Extend the Selection Upwards to the Last Cell. Extend Selection Upwards by One Screen. Extend Selection Downwards by One Screen. Extend Selection to the Right by One Screen. Extend Selection to the Left by One Screen. Extend Selection to the Start of the Row. Extend Selection to First Cell in the Worksheet. Extend Selection to the Last Cell in the Worksheet. Align Content to the Center of the Cell. Align Content to the Left of the Cell. Align Content to the Right of the Cell. Align Content to the Middle of the Cell. Unhide Hidden Rows in Selection. Unhide Hidden Columns in Selection. Insert New Line in the Same Cell. Insert Row/Cell (shows a dialog box). Insert Argument Names into Formula. Delete Row/Cell (shows the dialog box). Place outline Border around the Selected Cells. Increase Font Size by One Step. Decrease Font Size by One Step. Apply the Number format with Two Decimal Places, Thousands Separator, and a Minus Sign for Negative Values. Apply the Time format with the Hour and Minute, and indicate A.M. or P.M. Displays the Format Style Dialog Box. Displays the Format Cells Dialogue Box. Displays the Font Dialogue Box. While Typing a Formula, Switches Cell Reference from Absolute to Relative. Display the Insert Function Dialog Box. Evaluate Part of the Formula. Rechecks Dependent Formulas and then Calculates all Cells in all Open Workbooks. Display Find and Replace Dialogue Box (Find Selected). Display Find and Replace Dialogue Box (Replace Selected). Open Conditional Formatting Dialogue Box. Clear Conditional from Selected Cells. Clear Conditional from the Entire Worksheet. Inserts Chart in the Worksheet (using the selected data). 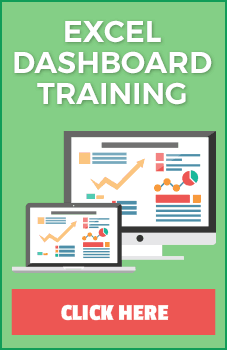 Inserts a ChartSheet with a Chart (using the selected data). Get a List of All Defined Named Ranges. Create Named Range from Selection. Display Insert Pivot Table Dialogue Box. Select Entire Pivot Table (excluding Report Filters). Add/Remove Checkmark for Selected Field in PivotTable Field List. Group Selected Pivot Table Items. Select the Next Item in PivotTable Field List or Items List. Select a Previous Item in PivotTable Field List or Items List. Select Last Visible Item in List. Select First Visible Item in List. Open Field List for Active Cell. Hide Selected Item or Field. Opens Calculated Field dialog box (when the data field is selected). Opens Calculated Item Dialog box (when field heading cell is Selected). Turns On the Add to Selection Mode. 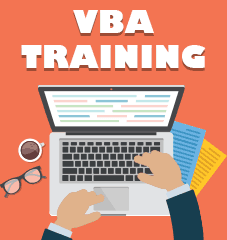 Switch between Excel Worksheet and the VBA editor. Close VBA Editor and Return to the Excel Worksheet. Excel Functions (Videos + Examples).